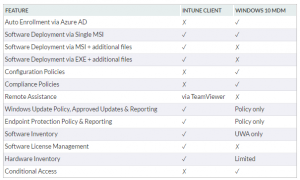 In the referenced article (http://stealthpuppy.com/windows-10-management-intune/) Aron Parker summarize the difference between using the MDM-API and the Intune Agent for management. Remeber to install KB3159706 on any WSUS server standalone or System Center Configuration Manager Software Update Point to enable Windows 10 upgrades (and feature updates) that are released after May 1, 2016. Please not that this update is not available for Server 2008 R2 or older. A tool that will assist administrators in installing all the correct prerequisites for a ConfigMgr 2012 R2 hierarchy, different Site Systems Roles and much more. 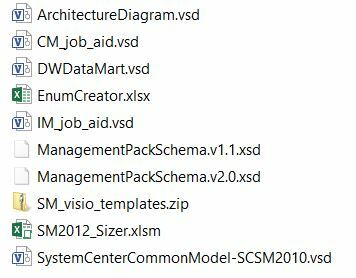 I recently created a simple PowerShell script to track the software update installation process initiated by SCCM. 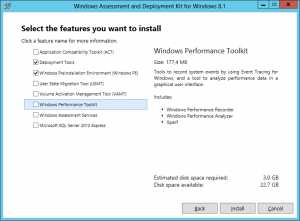 WMI queries below will check if all available updates is installed. This kind of logic is useful, if you want to do advanced automation of server patching with Configuration Manager and Orchestrator. And for example replace the @Get Deployment Status activity.” in orchestrator. 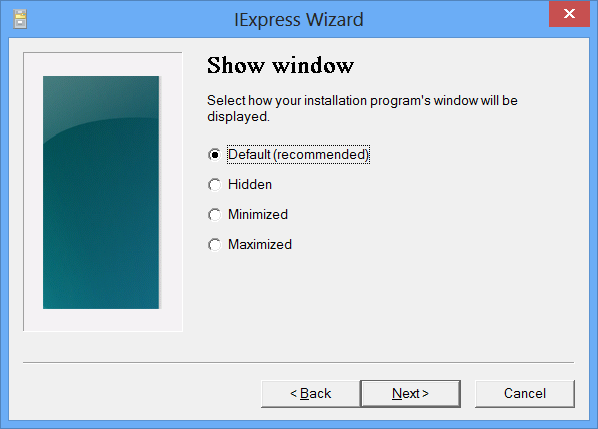 #Make sure installed updates equals available updates. The tool will format your USB pen, make it bootable, then copy files from a specified .iso to the drive. schtasks.exe or get-scheduledtasksinfo last run results codes. Both the command line utility schtasks.exe” and the PowerShell command Get-ScheduledTaskInfo will return a column named “Last result”. The return codes differ from the last run result format you typically find in the UI. 0 - The operation completed successfully. 1 - Incorrect function called or unknown function called. 2 File not found. 10 - The environment is incorrect. 267008 - Task is ready to run at its next scheduled time. 267009 - Task is currently running. 267010 - The task will not run at the scheduled times because it has been disabled. 267011 - Task has not yet run. 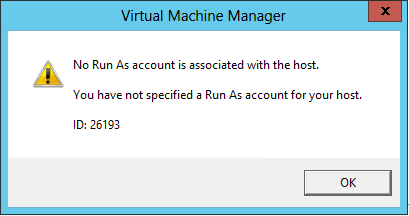 267012 - There are no more runs scheduled for this task. 267013 - One or more of the properties that are needed to run this task on a schedule have not been set. 267014 - The last run of the task was terminated by the user. 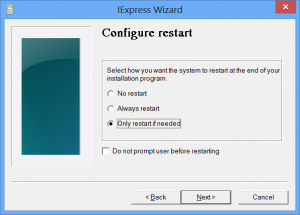 267015 - Either the task has no triggers or the existing triggers are disabled or not set. 2147750671 - Credentials became corrupted. 2147750687 - An instance of this task is already running. 2147943645 - The service is not available (is "Run only when an user is logged on" checked?). 3221225786 - The application terminated as a result of a CTRL+C. 3228369022 - Unknown software exception. SCOM: How to get Health state of a monitor with PowerShell. $Group = Get-SCOMGroup -DisplayName "TEST GROUP"
#get the monitor, in this example DisplayName is used as parameter. $alertmonitor = Get-SCOMMonitor -DisplayName "Run As Account Verification"
#If the server is not healthy, available and the monitor is enabled then..
#HealthState from OperationalStateCollection and only return the first line. 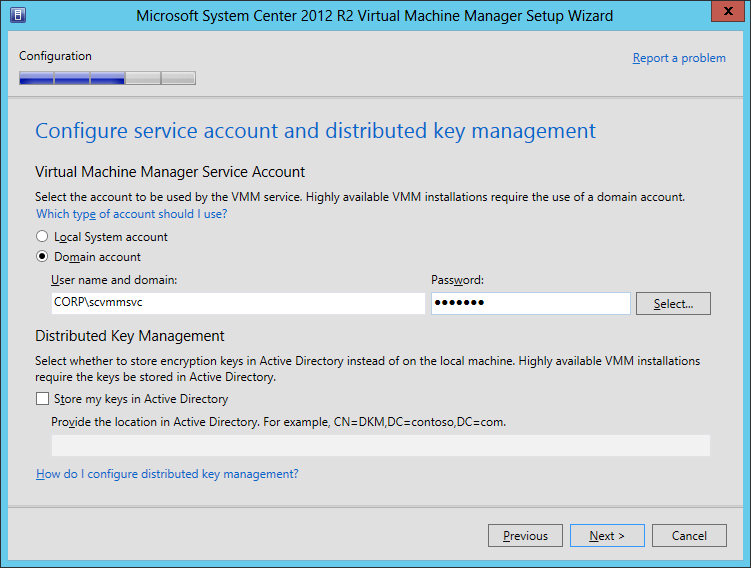 As this was a Domain Controller and FSMO role keeper a domain re-join was not possible. 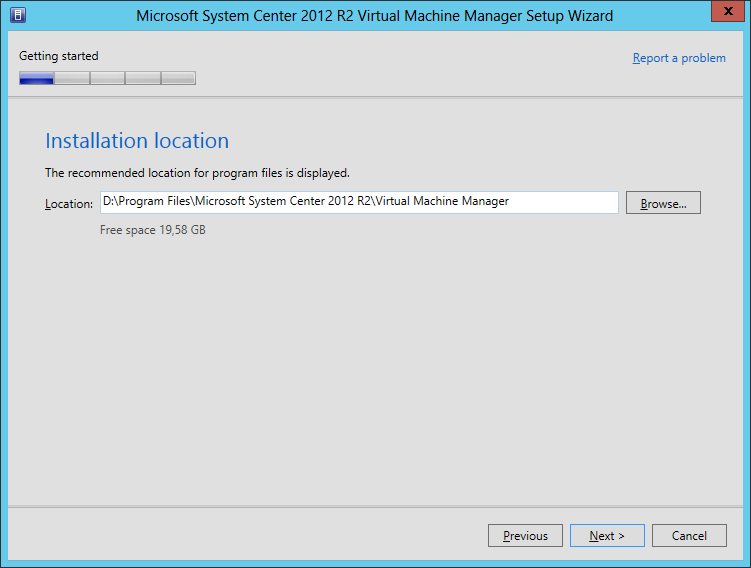 System Center Configuration Manager 2012 R2 SP1 CU1 has been out for a couple of weeks. This update contains bug-fixes and new powershell cmdlets. There are many benefits with Windows RT. In most cases, the user will manage the device without involving the IT-department. In educational scenario’s Windows RT enabled devices such as Microsoft Surface is getting popular, due to a low price point, stability, easy to reset and quick boot-up speed. Even if this is a “personal” device (you own it, love it and take care of it) most IT departments this want to do some initial configuration. 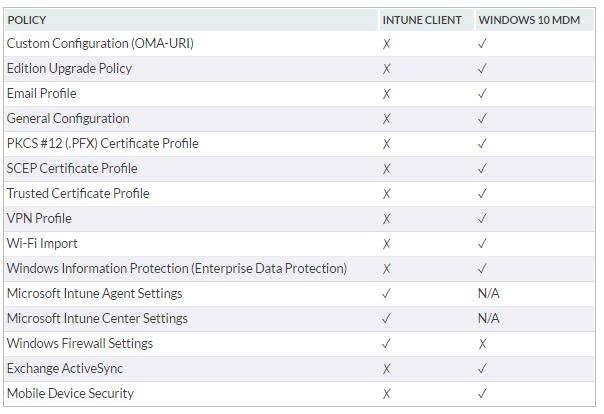 There is some capabilities with System Center Configuration Manager and Windows Intune where you can deploy Wi-Fi and VPN Profiles, but this requires that you have the SCCM/Intune solution configured. If you ‘re about to roll out Windows RT devices, I recommend; “Deploying Windows RT 8.1 – A guide for Education”. This is a complete guide for enrolling Windows RT devices in educational environments. In addition there is a codeplex project providing a complete solution with scripts. 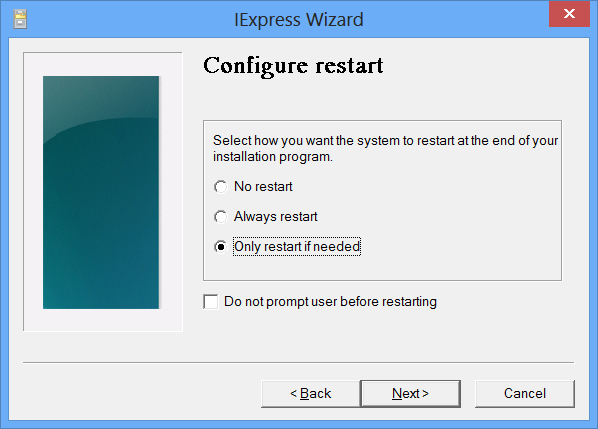 SC 2012 R2 Configuration Manager (Hotfix): Windows 8.1 deployment to Windows XP based clients fail. There is still a lot of XP Clients around. Many Companies are doing “last minute” migrations these days. 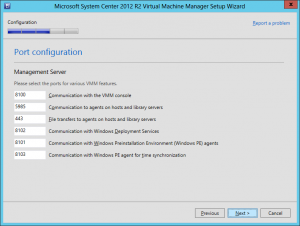 In System Center 2012, R2 Configuration Manager there is a bug that prevents you from deploying Windows 8.1 to a Windows XP-based computer. Deployment fails, SMSTS.LOG show: “TSManager datetime 3048 (0x0BE8)”. 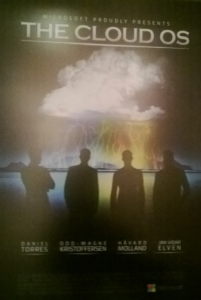 The third edition of the Nordic Infrastructure Conference is history. Sadly, there were no recording this year.I have gathered slide decks and demo material from some of the sessions. 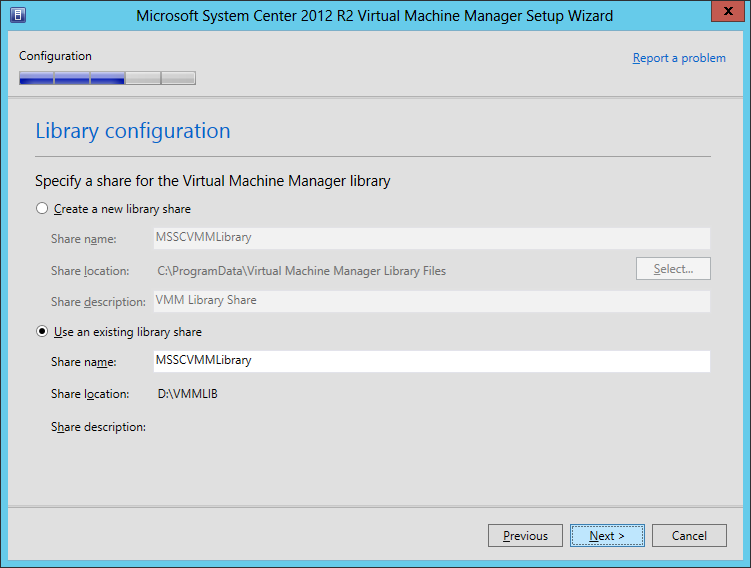 Need create multiple (mass create) management packs for System Center Operations Manager 2012 r2? PowerShell is your friend. Run this script in the Operations Manager Shell (no warranties given). CreateMP.PS1.txt – Actual script, rename to .PS1 and run in the Operations Manager Shell or edit the script to load the Operations Manager Powershell Module. 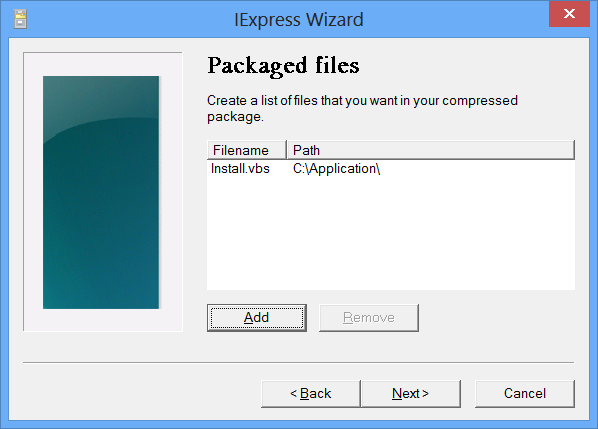 CreateMps.txt – List of management packs to be created. 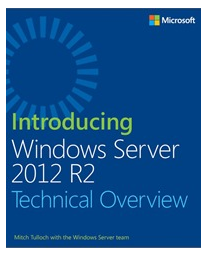 Microsoft has released a free e-book on Windows Server 2012 R2. This is a great starting point to update yourself on this new release. Chapters included in this book: Cloud OS, Hyper-V, Storage, Failover Clustering, Networking, Active Directory, Group Policy, IIS, Remote Desktop Services, Windows PowerShell, Windows Server Essentials. 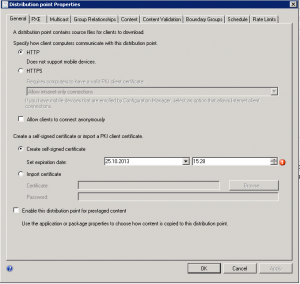 Configuration Manager R2 Hotfix available! For those of you that have experienced PXE problems and slower download (15 minutes instead of 5 minutes compared with ConfigMgr 2012 SP1) during OSD, Microsoft has now released a hotfix. 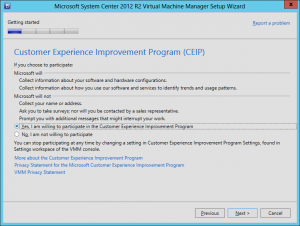 This time I was working with a customer on a System Center Configuration Manager Update. 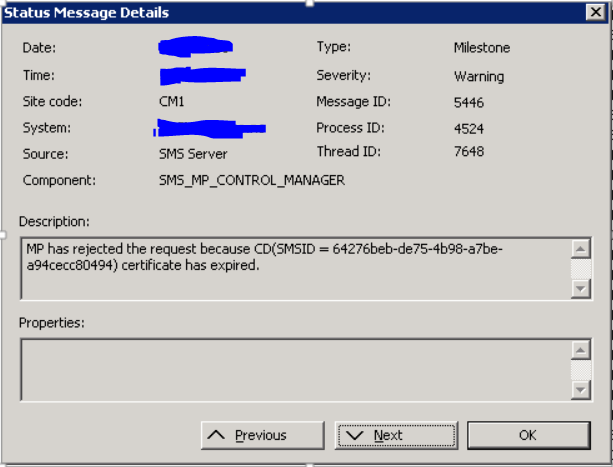 The error message was: “MP has rejected the request because CD(SMSID = blablabla) certificate has expired. For a few minutes I had an idea that this could be a broken client (long day), this lead me into the SCCM database for troubleshooting. Client ‘cbc4f875-1194-401f-b979-890454806b5a’ is unknown or has an invalid key registered in the database. 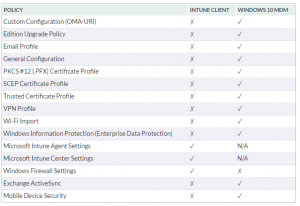 The ”ClientKeyData” Table in the SCCM database contains information, about internal SCCM certificates like PXE but also self-signed client certificates. I ran this SQL Query: “select SMSID,ValidUntil,AgentType from dbo.ClientKeyData” this returned the SMSID alerted in the Status Message. I also noticed that AgentType was set to 1, this seems to be 1 if it’s related to SCCM servers or roles. 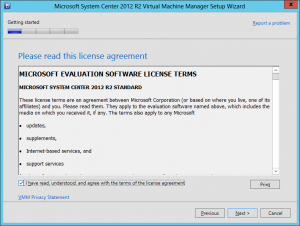 This lead me into the SCCM certificates, I found that one of the PXE certificates on a DP had expired. Easy fix but a backwards way to find out. 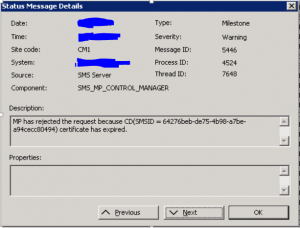 Therefore, if you ever see this warning I recommend you to check the certificates node in the monitoring tab in SCCM first. One of my main sources for TechUpdates is Microsoft’s Channel 9 (http://channel9.msdn.com). Here you will find sessions from all the great events like, TechEd, MMS, Build and many more. Reading up on Server 2012 R2 I found this series, a very good and organized source http://channel9.msdn.com/Series/NewInWS2012R2 This covers everything you need to know before booting up your lab environment to try it all yourself. Thank you for attending the Microsoft Cloud OS launch event 29’th of October. Hope you enjoyed my ”Monitoring the Cloud with Operations Manager 2012 R2” session. I have received several requests for my presentation. It’s now available here (Norwegian). 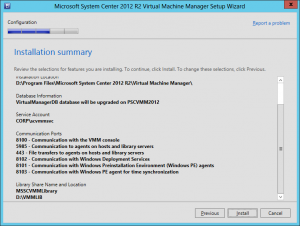 If you’re looking for a guide for upgrading your SCCM 2012 SP1 environment to R2. 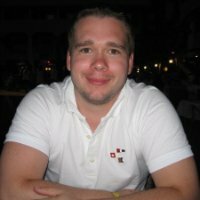 I recommend you to use Johan Arwidmarks: “A Geeks Guide for upgrading to ConfigMgr 2012 R2 and MDT 2013”. Great guide with useful Insights from the deployment master himself. If you have a CAS, remember this: Start the process on the CAS and work your way down the hierarchy. After you have updated your CAS it needs to re-establish its site links. Expect some heavy replication. You will get an error related to “Parent site replication status” on all primary sites. Wait until the site links are back up and running before you upgrade your primary sites (prereq check will stop you). In my experience, this can take 1-2 hours. Pay attention to CPU/Disk activity before proceeding with the upgrade. Objreplmgr.log and replmgr.log is good logs to check out. Upgrading my System Center App Controller installation from SP1 to R2 I found that I got “This page can’t be displayed” when trying to load the site. To troubleshoot I started IIS Manager. Right click on the “App Controller” webpage, then selected “edit bindings”. 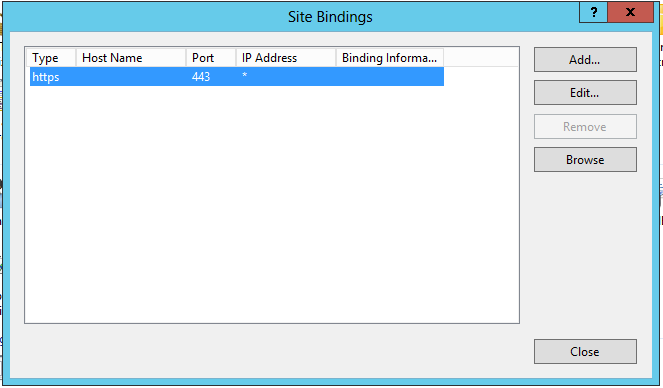 In the site bindings pane I selected the default https binding and clicked on the edit button. Next, I was able to launch the App Controller portal. If you are using a self-signed certificate like me, you may need to add the cert into your trusted root certificates store. If you have a certificate authority a option is to create a certificate that is trusted by your organization. Reading through the System Center 2012 R2 release notes, I created a «new feature» comparison to illustrate where Microsoft has done the investments in this new release. 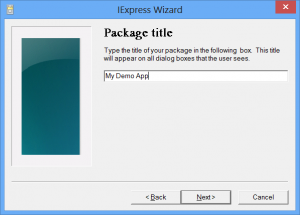 There is a lot of work done on the client and server operating system. 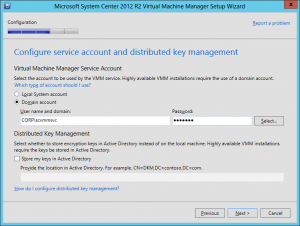 Virtual Machine Manager and Configuration Manager has a lot of new features to keep up the new feature set in Windows 8.1 and Server 2012 R2. 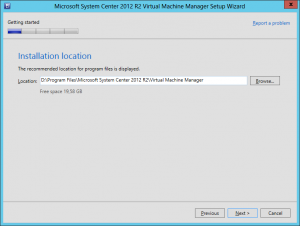 Upgrade Virtual Machine Manager to 2012 R2, High Level Steps. 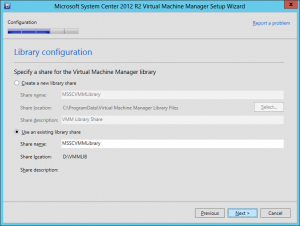 VMM does not support in-place upgrade. 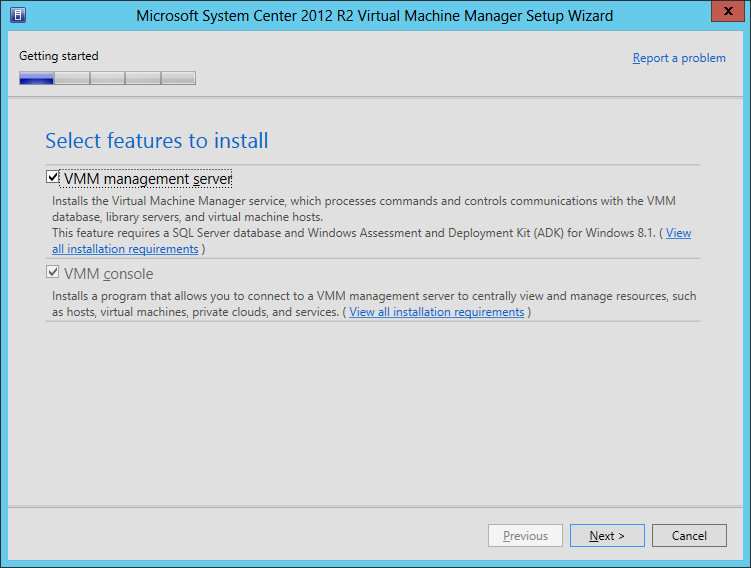 You have to uninstall VMM and retain the database. 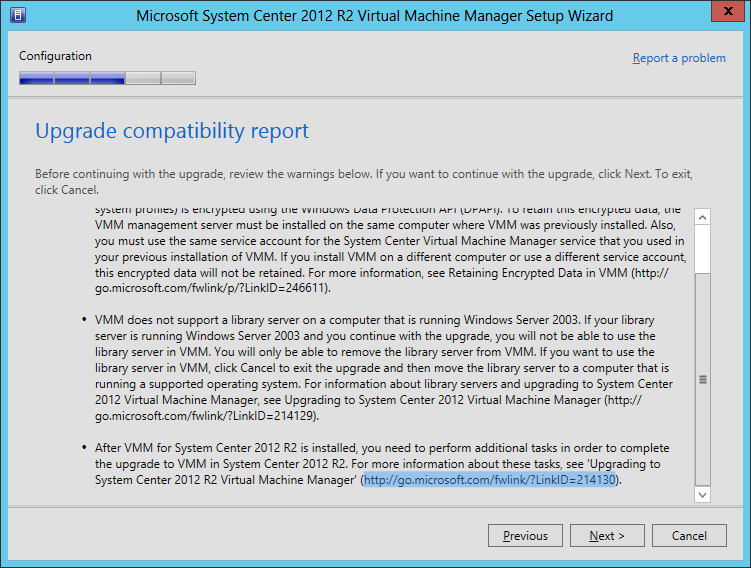 Before uninstalling VMM first uninstall any Update Rollup. 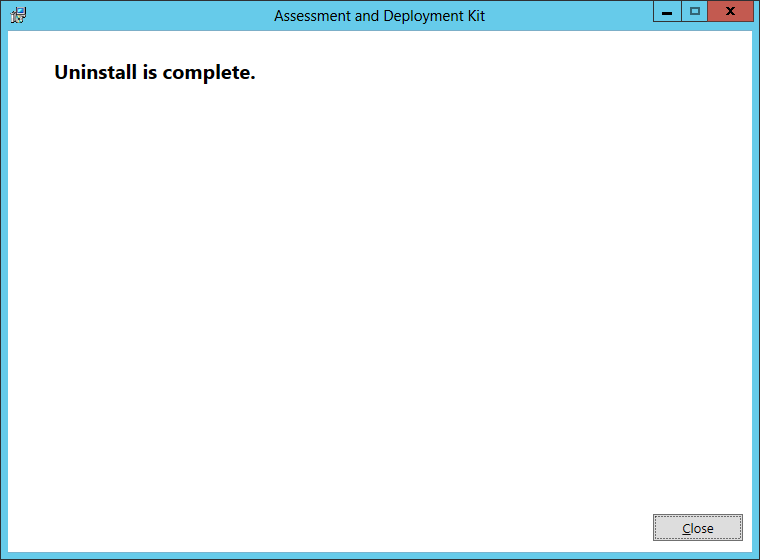 After uninstalling VMM, ADK (Windows Assessment and Deployment Toolkit) 8.0 also have to be uninstalled. 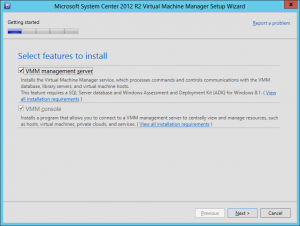 Before starting the VMM 2012 R2 installation you have to install ADK 8.1. Make sure you have a complete system state and database backup of the server. 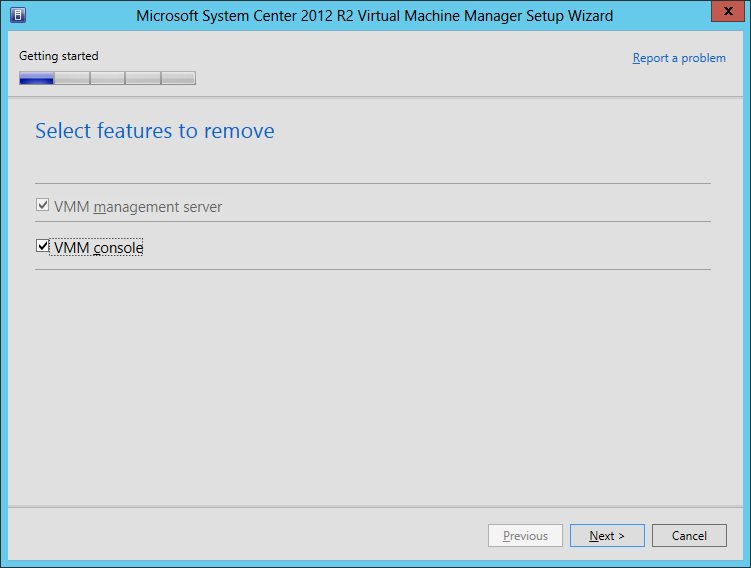 First step is to uninstall VMM Management Server and VMM Console. 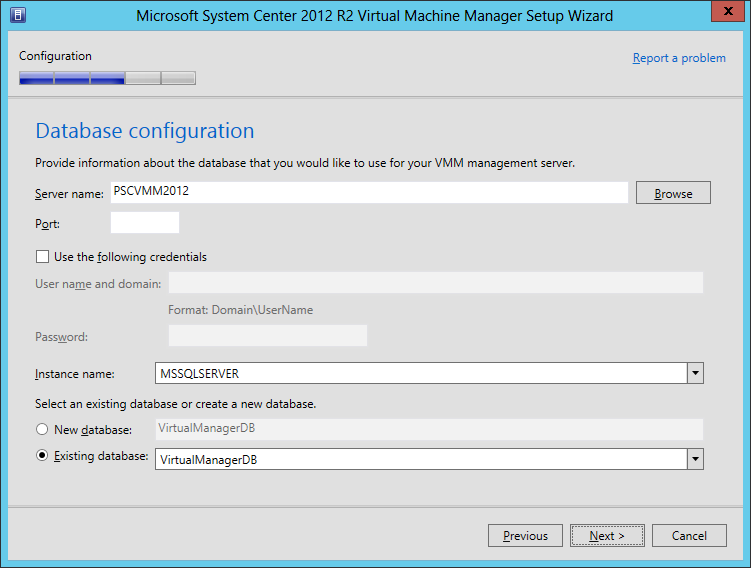 Answer “Yes” when asked to upgrade the virtual machine manager database. 29’th of October Microsoft has an launch event addressing the new release of Windows Server 2012 R2, Windows Azure, and System Center 2012 R2. I will do a session about “Monitoring the Cloud with System Center 2012 R2 Operations Manager”. 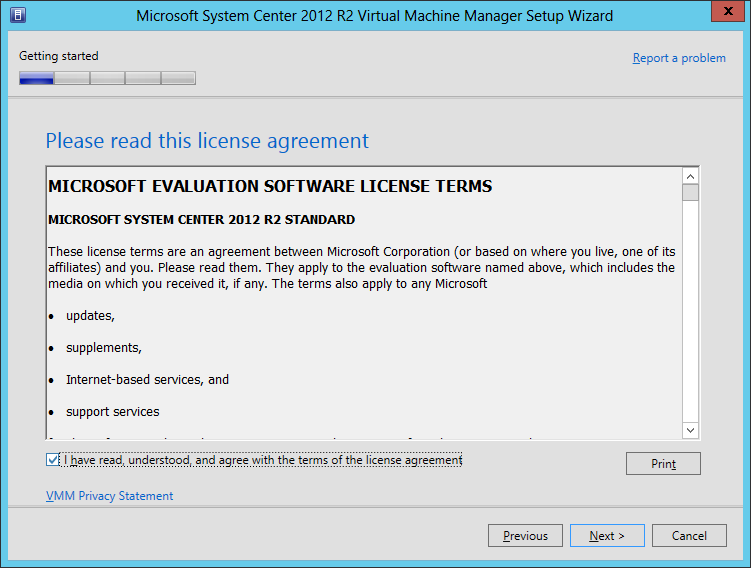 Download System Center 2012 R2 NOW!! The future is now! 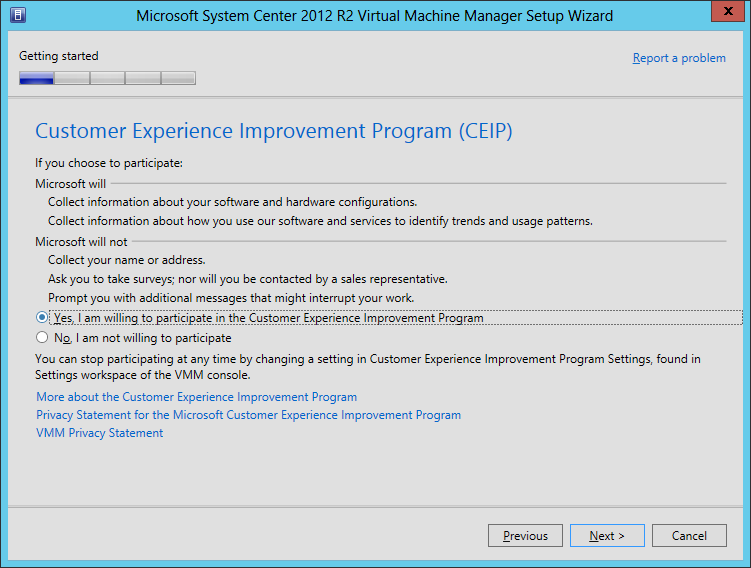 Microsoft has released System Center 2012 R2, get started today! read up on what’s new here. 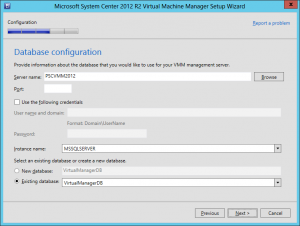 SCCM 2012: Downgrade or re-install SQL Server. Recently I came across a scenario where I needed to downgrade a SCCM SQL Server from Enterprise to Standard edition, due to licensing. (Only Std. edition is included with SCCM). Usually I like to leave the SQL alone. 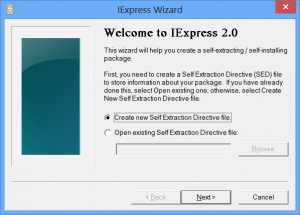 This process involves a uninstall/reinstall and a site recovery. 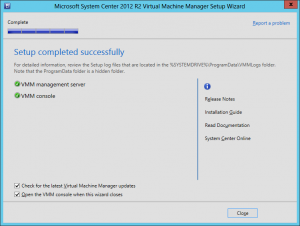 Run a full SCCM Backup, by starting the “SMS_SITE_BACKUP” service manually. Document SQL Server Service Pack, CU Level and Collation. 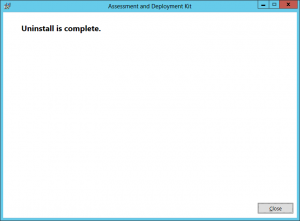 Uninstall the SQL Server and Reporting Services (Enterprise edition.). 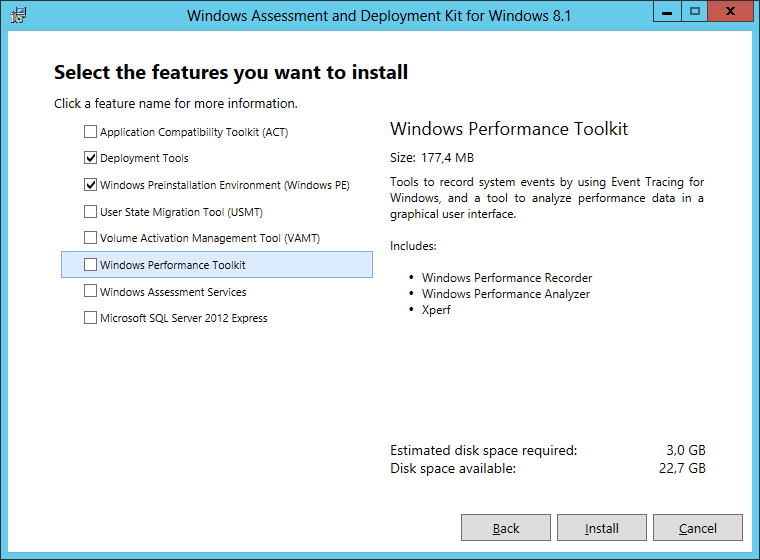 Install SQL Server (Standard edition) and Reporting Services, then service packs and cumulative updates. 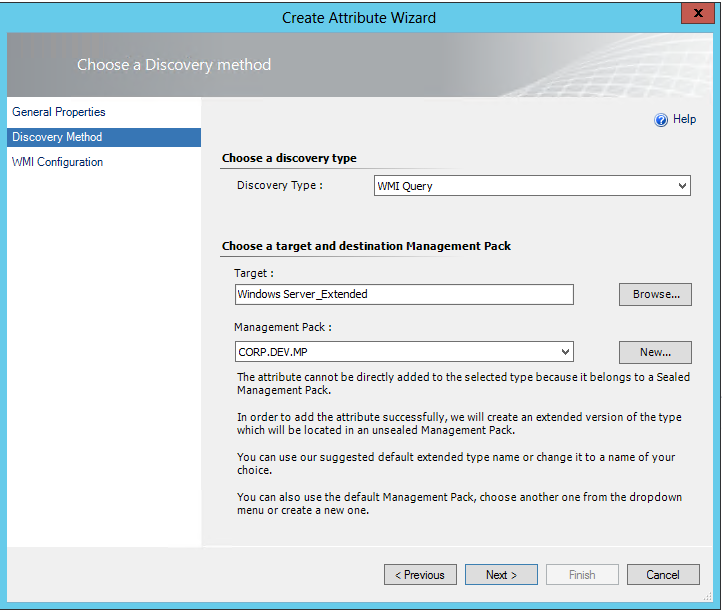 Attach the Configuration Manager and MDT Database to the new instance in SQL Server Management Studio. 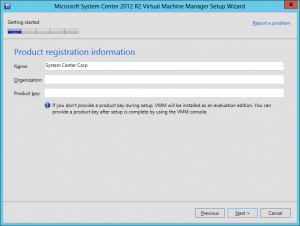 Run SCCM SETUP from the original media. Page 2: Use a site database that has been manually recovered. Page 4: Recover primary site. Page 5: Install the licensed edition of this product. Page 6: Accept license terms. Page 10: Verify database server info. Page 12: Verify all settings in the summary. Page 13: Wait while setup completes. 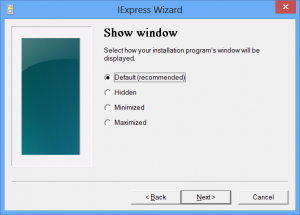 Page 14: Install CU or Hotfix if required, else close the window and reboot the server. 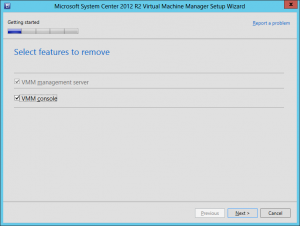 SCOM 2012: Remove obsolete objects from the database! When you override and disable a discovery for a class in SCOM you may notice that objects may persist in the database. For example if you exclude a SQL database after initial SQL DB discovery it will probably still appear in the console. To clean up the objects you can run the Remove-SCOMDisabledClassInstance Powershell cmdlet. Then all the relationships that involve objects related to a disabled discovery is deleted. Depending on your environment, this process can take some time and put load on your SQL server. 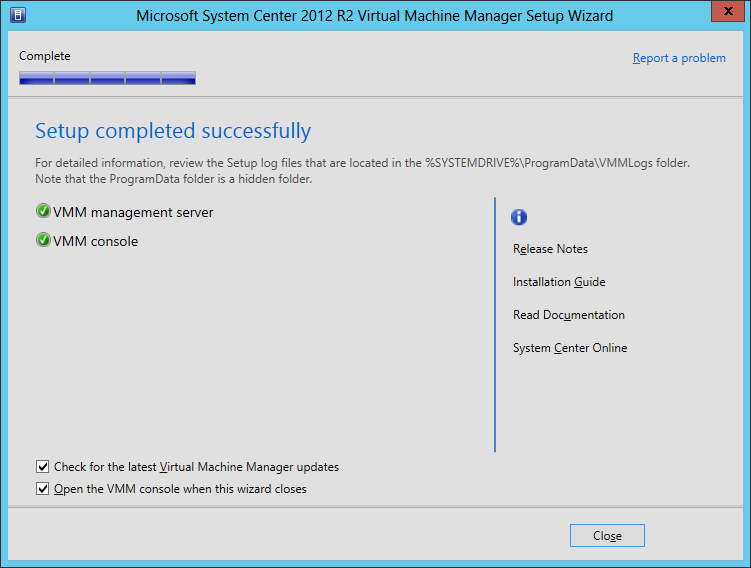 Update Rollup 3 for System Center 2012 Configuration Manager Service Pack 1 is Available! 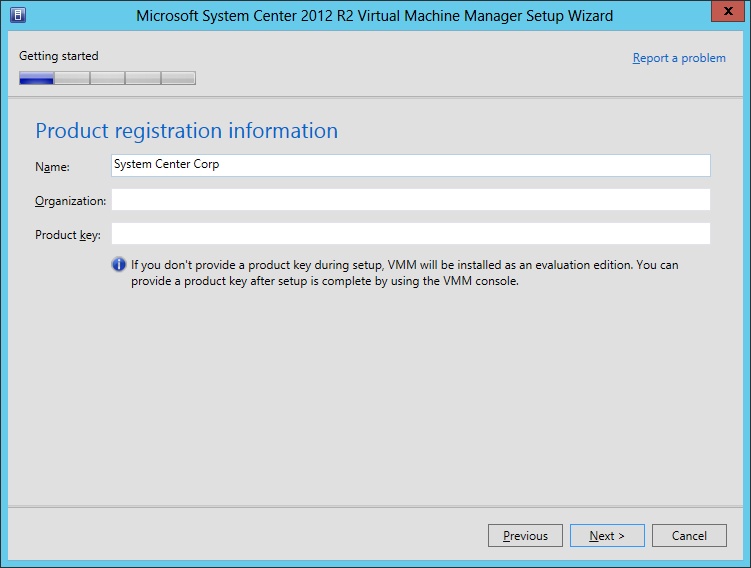 Update for Configuration Manager 2012 Sp1 is available. 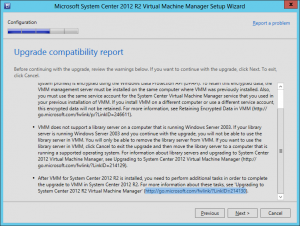 This update adds support for Windows 8.1-based client computers in Microsoft System Center 2012 Configuration Manager Service Pack 1. Windows 8.1 is added to the supported platform list. 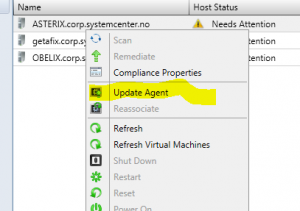 If you are looking for Update Rollup 3 for System Center 2012 Service Pack 1 see the link below. A lot if issues is fixed in this update. Storage tiers in Windows Server 2012 R2 enables the file server to automaticly move the most accessed files or storage blocks to SSD (fast) storage while rarely accessed data is stored on spindle disks (slow). This function let’s you create larger storage pools and virtual disks while maintaining good performance. In my case this gives me a performance boost in my Hyper-V environment. Connected disk cabinet with 4 x 2TB SATA disks (Hardware Raid 10). 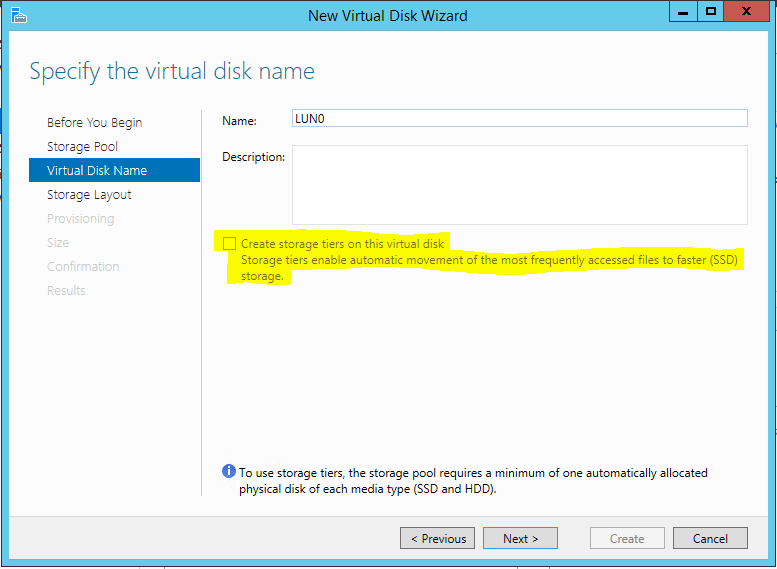 After creating a storage pool with this disk configuration I found that “Create storage tiers on the virtual disk” was greyed out. After some investigation I found that the Operating System was unable to classify my “Slow” storage. Media type showed: Unknown. As you can see, Physical Disk 3 has “UnSpecified” set as Media Type. Create Service Manager Incidents from Operations Manager on demand! 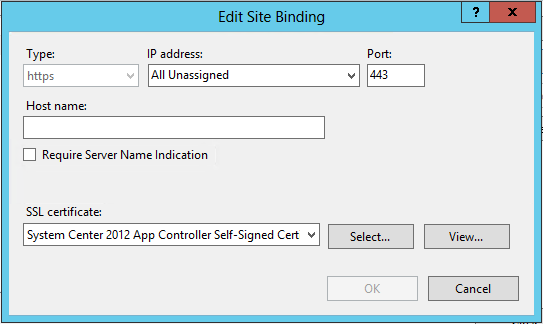 Brody Kilpatrick has written a great blogpost on how to create SCSM Incidents on demand from SCOM. 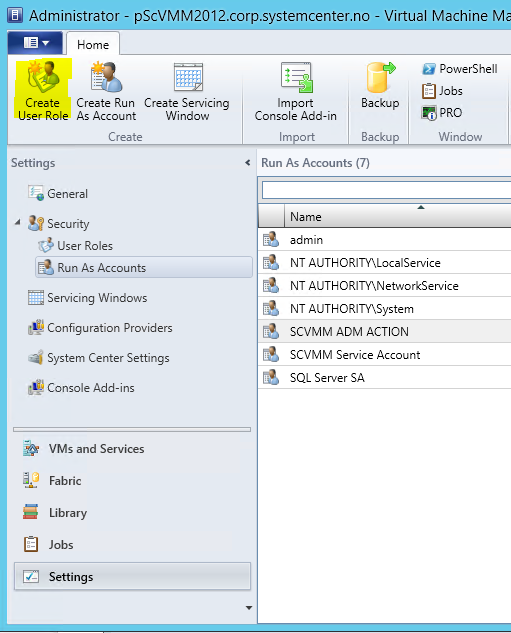 As you may know there is a connector in Service Manager that will automatically create incidents from scom alerts. The challenge is that there is a 1-1 ratio, you can create filters but still in my expirience most customers want more control and a “human” link in between. 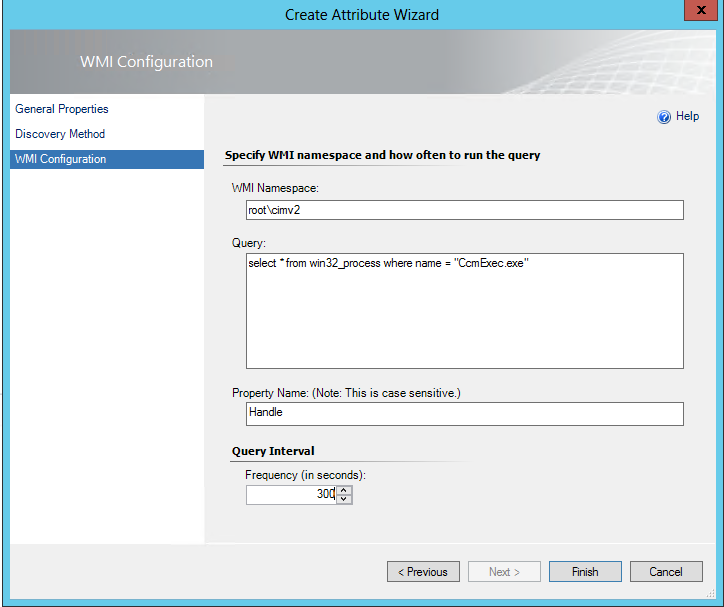 SCOM 2012: How to create a dynamic group based on a WMI query. As you may have experienced the only way to create object discoveries in System Center Operations Manager is trough Visual Studio. But still, sometimes you may need a quick way to gather all computers with a specific application installed, configuration, process running or anything else. 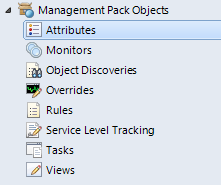 Then you need to look at “Attributes” within the Authoring > Management Pack Objects tab. 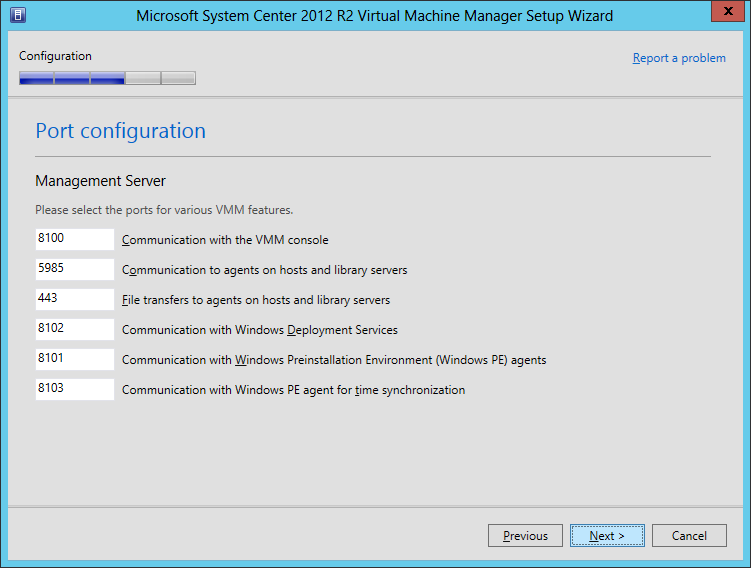 In this example I needed to create a group gathering all servers running the System Center Configuration Manager agent. 2. Right Click “Attributes” and select “Create New Attribute”. Management Pack: Select and existing one or create a new. Property Name: Handle (Select any property related to the wmi class). 5. Next we need to create a group. 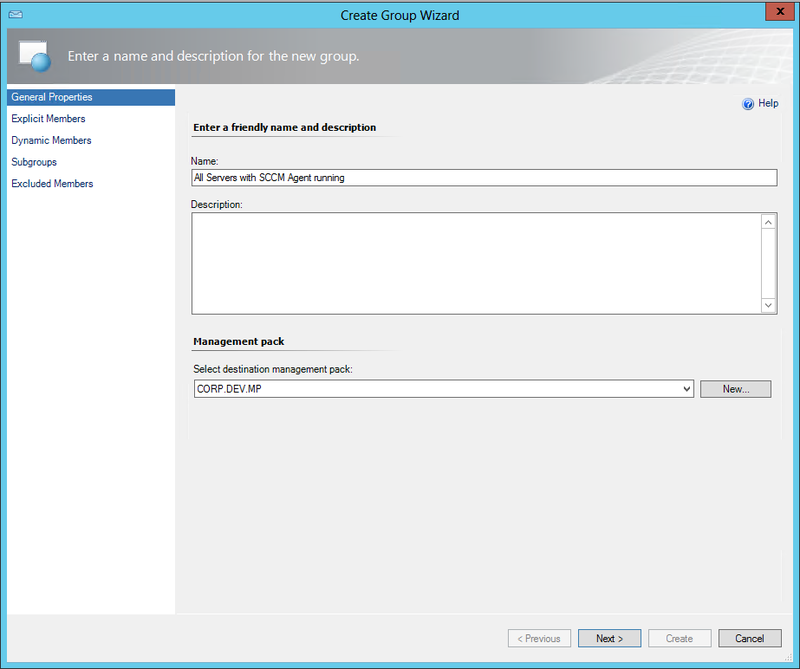 Navigate to: Authoring > Groups > (Right Click) “Create a new group”. 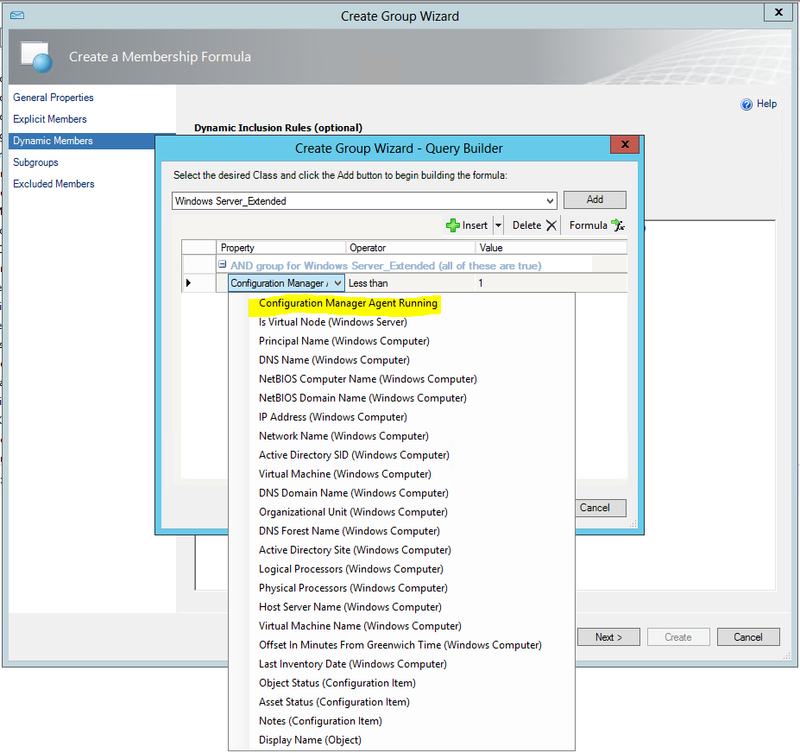 Locate the Windows Server _Extended class, select the “Configuration Manager Agent Running” attribute. 8. Click “OK”, then “Next”, “Next”, “Create”. 9. Your dynamic group is now created. 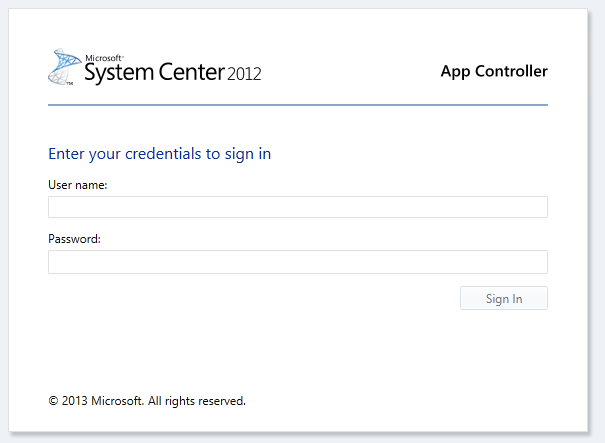 Soon, Microsoft will release System Center 2012 R2. I get a lot of questions regarding upgrade paths. 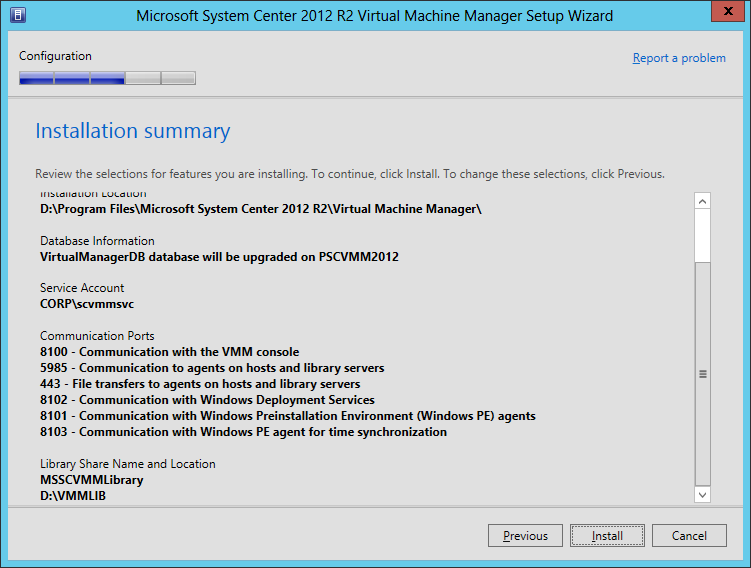 System Center 2012 RTM > System Center 2012 SP1 > System Center 2012 R2. 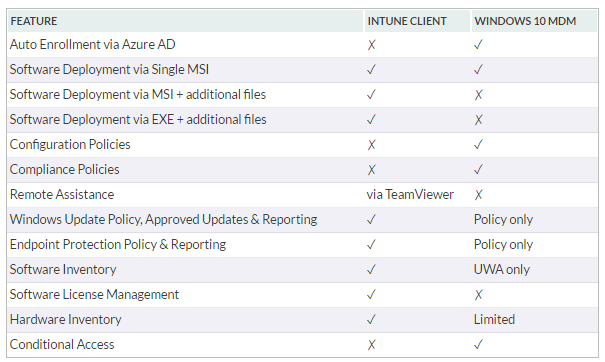 The Windows Azure Monitoring Pack enables you to monitor the availability and performance of applications that are running on Windows Azure. Windows 8.1, Windows Server 2012 R2 and System Center 2012 R2 will be available for download October 18th and available for purchase november 1st. I am now a Microsoft Certified Solutions Expert! Finally got around a busy schedule to take the exams. I am now a Microsoft Certified Solutions Expert Private Cloud. 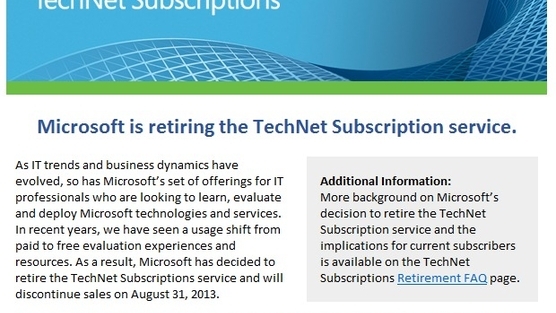 Vote for an affordable alternative to MSDN subscriptions comparable to TechNet! 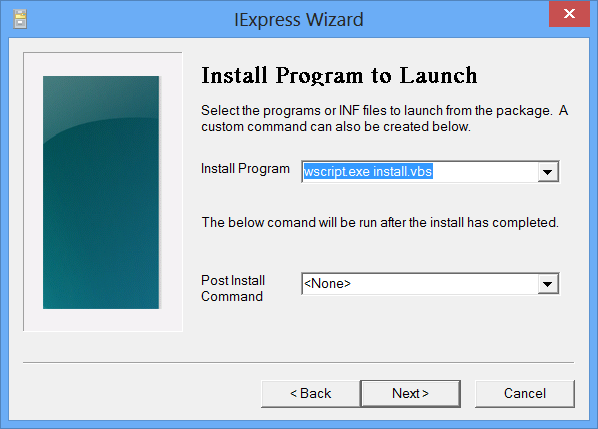 Once in a while you may need to create a vbscript. If you for some reason need to hide the code from a end-user there is an easy way to do this. 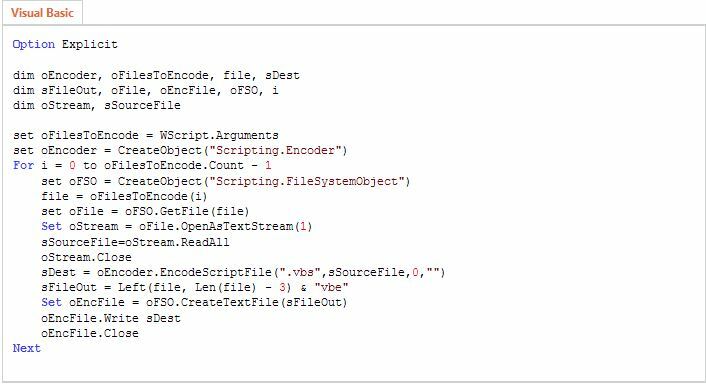 Actually vbscript has it’s own encoder object built-in. The only thing you need to know is how to use it. This is not a bullet-proof solution because the script could be decoded. 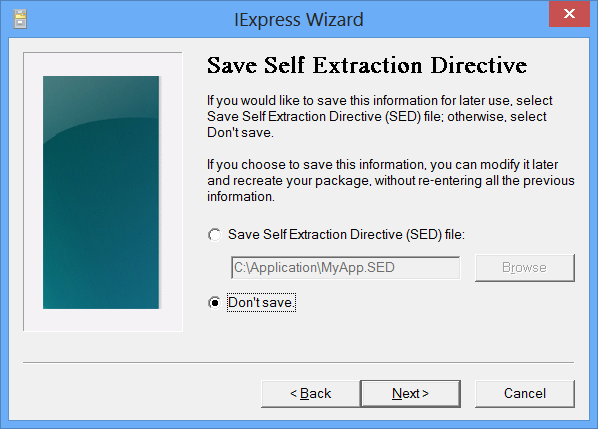 It’s a well hidden deployment secret that you can create self-extracting archives with Windows. Although 3’rd party software may give you some benefits, the IExpress tool in Windows usually has what you need. 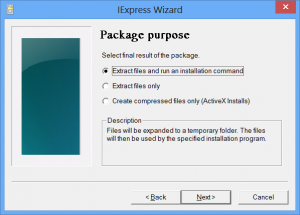 You can extract files and run commands, you can do post install commands, user prompts, license agreements, select run behavior, completion message and handle or require reboots. You can launch IExpress from the command line or “run” (win+r) I have noticed that the tool works best when you run it as administrator. 1. Let’s say I want to create a new archive “MyApp”, this app has a install.vbs script that needs to be executed as part of the installation. I start the IExpress Wizard. 2. 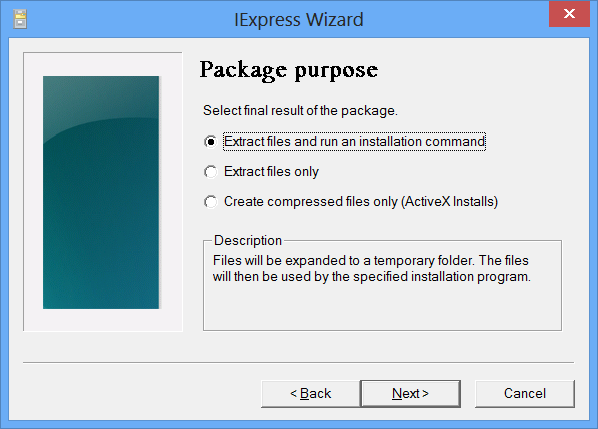 I select the package purpose, I want to extract files and run an installation command. 4. In this case I do not want to prompt the user in any way. 5. Neither to I have a license agreement. 6. 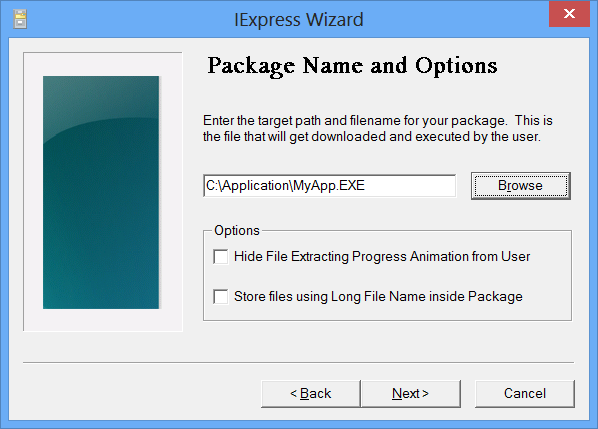 I then add the files I want included in my package. 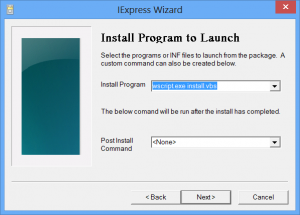 In this case I only add Install.vbs but usually you would want to add multiple files and folders. 8. I select “default” behaviour on the show window tab. 9. I do not want any “completion message”. 10. 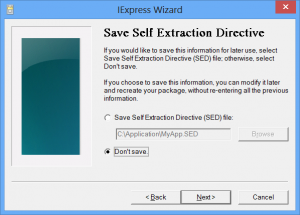 I select where to create the self-extracting archive and name of the .exe file. 11. The package should only require a restart if it’s needed by my install.vbs script. 12. If I wanted to I could save the steps (“Package definition”) in a file, this is a good idea If you need to update the package later on. 13. I click next to create the package. I’ve been running Direct Access on Server 2012 for a while, beeing frustrated with complicated configuration and difficult requirements on Windows Server 2008 R2. 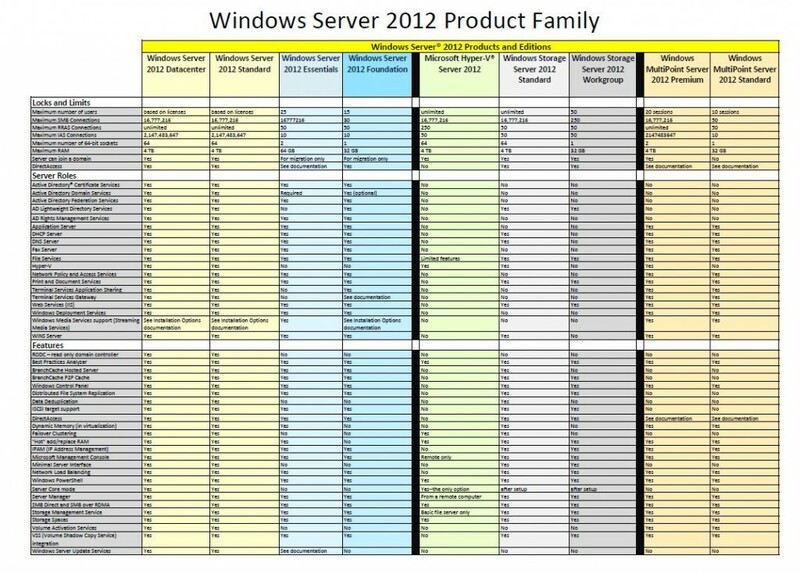 I must say Microsoft has really improved the implementation in Server 2012. If you want to enable all features the old requirements are still there such as PKI and two Public IP-Adresses but in real life the IP-HTTPS tunnel does the trick for most of us. I get a lot of questions about requirements, scaling and implementation. With this post i’m sharing some useful resources to get this information. 1. Get an understanding of Remote Access with Direct Access in Server 2012: Sandeep Singhal did a good presentation at TechEd North America 2012. 2. Understand all the components and featureset of Direct Access. Microsoft has released a datasheet including information about locks and limits and supported server roles and features. As you will see, standard and datacenter edition now has the same features. 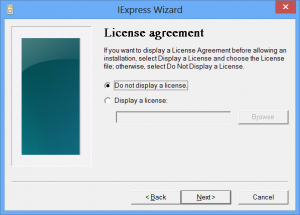 For if you are planning to install one of those, you will only need to decide on the license model. But less known editions like Windows Server 2012 Essentials or Windows Multipoint Server has a limited feature set worth knowing about. Follow TechEd Europe Madrid Live! 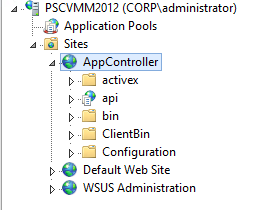 Recently I worked with a customer that has a SCCM 2012 setup configured with a Central Administration Site (CAS) and several primary sites connected. When creating a “Stand-Alone” media on the CAS server, deployment of Packages failed with error: hr=0x87d01004. According to Microsoft this error occurs because the Software Distribution Agent is not enabled since the client has not yet received policy. 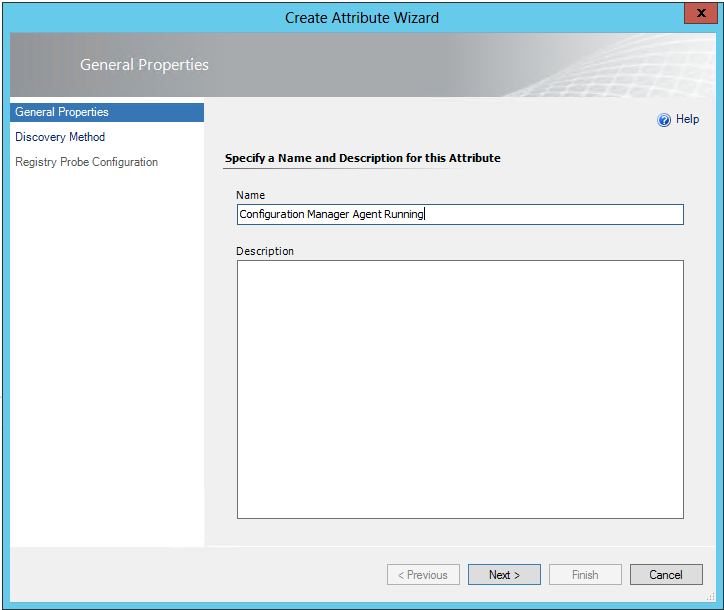 David Tesar has created a quick starte guide for integrating a single forest on-premises AD with Windows Azure AD. 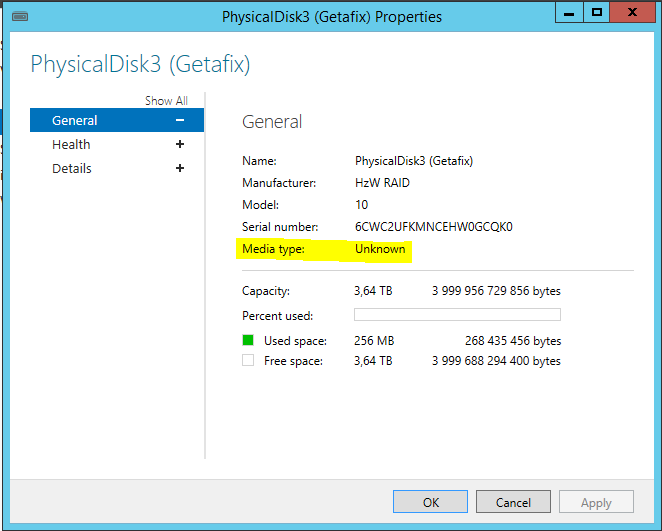 After completing this guide you will have federated your on-premises AD with Windows Azure AD. You will get single sign-on capatibillities to users of Windows Azure AD such as Office 365 and Windows Intune.